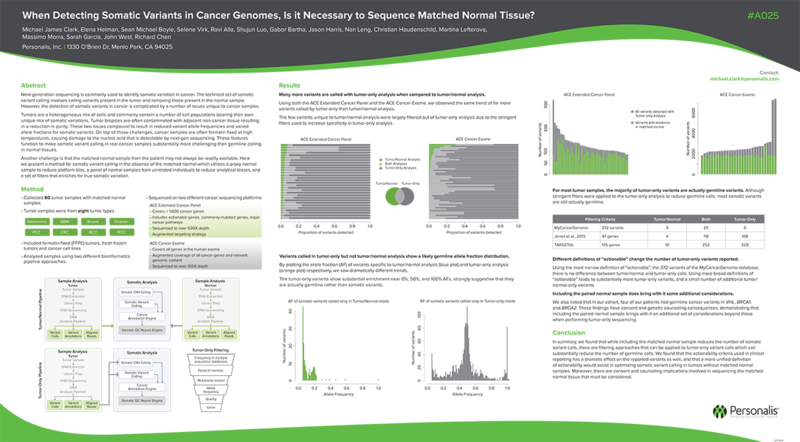 2016 AACR-JCA: When Detecting Somatic Variants in Cancer Genomes, Is it Necessary to Sequence Matched Normal Tissue? Next-generation sequencing is commonly used to identify somatic variation in cancer. The technical act of somatic variant calling involves calling variants present in the tumor and removing those present in the normal sample. However, the detection of somatic variants in cancer is complicated by a number of issues unique to cancer samples.